Will We Ever Know Who the Berlin Painter Was? European Commissioner for financial affairs Pierre Moscovici on Wednesday said that no European institution favors austerity for Greece, but reforms and measures are needed for the completion of the bailout program review. “We are not in favor of austerity and no institution is in favor of austerity,” Moscovici said regarding creditors’ demands for further measures beyond 2018. However, Moscovici said, Greece needs more reforms in order to return to the path of growth and it is not impossible that the two sides can reach a staff level agreement at the upcoming Eurogroup (February 20). “A few more steps are needed. There can be an agreement during the Eurogroup,” he said, stressing that a balanced package of reforms can help Greece meet its fiscal targets and make it attractive to investors. To that effect, Moscovici said that he had a contact with Eurogroup President Jeroen Dijsselbloem who conveyed to the economic affairs commissioner that the “window” of February 20 has not closed yet. Prior to his meeting with the prime minister, the French commissioner met separately with President of the Republic Prokopis Pavlopoulos and Finance Minister Euclid Tsakalotos. The Greek president presented him with the medal of the Grand Cross of the Order of the Phoenix. 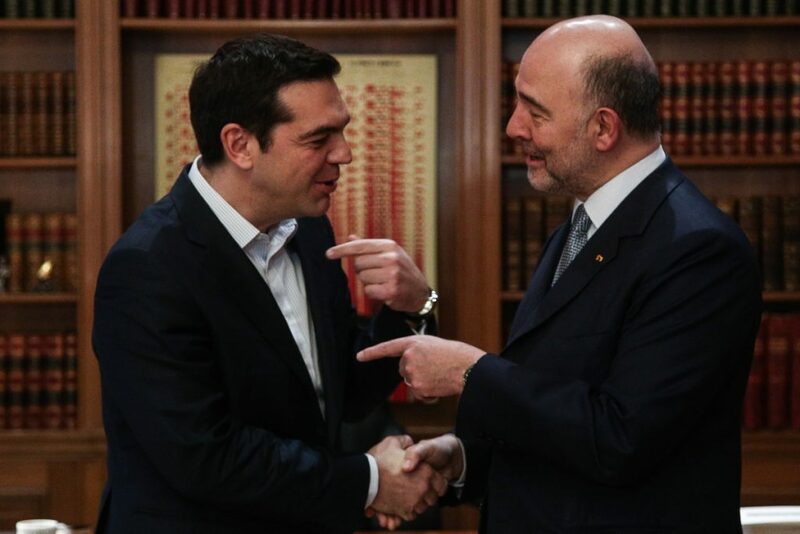 Moscovici also met with the opposition leader, New Democracy president Kyriakos Mitsotakis, in his office in Greek Parliament. The conservative party chief presented Moscovici with his proposals for exiting the economic crisis.